I am obsessed with all things pumpkin flavored at the moment. Obsessed in a way only a pregnant woman who isn't allowed to eat sugar can be. So I am making of list of things we will be baking come mid October and these pumpkin chocolate chip bars have just been added to the list! Pumpkin and chocolate, you really can't go wrong with that combination. 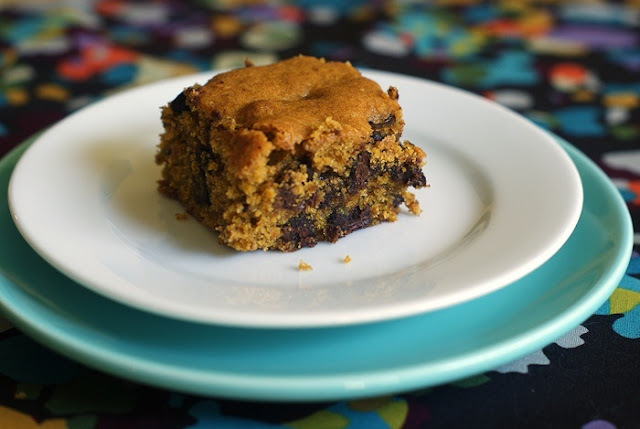 You can get the pumpkin chocolate chip bar recipe over at Bake at 350.